If you have read our previous #BucketListThursday posts this year, you’ll know that Red Letter Days is on a quest in 2017 to help others #LiveALittle, by marrying up people with experiences they have always wanted to do. So far it’s been very satisfying, we sent Sarah from lifeinabreakdown on a lovely hotel break, then Donna and Sarah went together up the Shard and on to afternoon tea at a top London hotel. That has resulted in three big ticks off three bucket lists – you’re welcome! 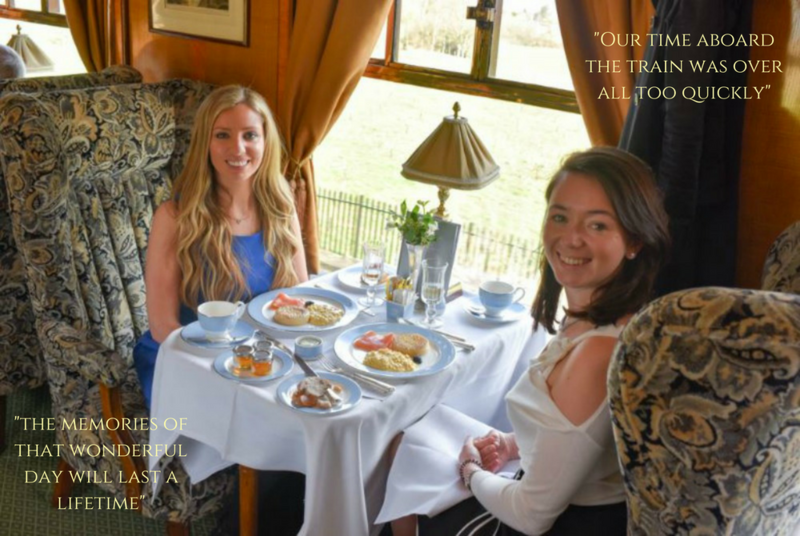 Our latest endeavour matched another pair of close friends to share a day out many people dream of – a trip on the British Belmond Pullman – sister train to the one and only Venice Simplon-Orient-Express. Being in the lucky position myself of having experienced a trip on this train, is it silly that I was just as excited for the pair as if I was going myself? Angie began her blog SilverSpoon by documenting extensive travels across East Australia back in 2012. Since then she has been trotting the globe and bringing her adventures to life on the page so that our imaginations can join in. From sharing with us her experiences dining at the one of the world’s most unusual restaurants in Zanzibar, to meeting geishas in Kyoto, chocolate making in St. Lucia and boating around Bora Bora, Angie’s accessible writing style has won her legions of fans. London professional Lauren juggles a very busy life in the city with her blog The Lifestyle Diaries which documents the luxuries of London and beyond. A first-class foodie too, she posts recipes to excite your eyes and your tummy in equal measure and I can testify that her tear and share garlic butter, cheese and tomato bread IS to die for. These ladies are close friends who both wanted to climb aboard this luxurious train. So with two travelling places at our disposal courtesy of Belmond, another two bucket lists ticks were being fulfilled! Thanks to pictures taken on the day, it’s time to sit back and go on a luxurious visual trip with our slideshow below. DISCLAIMER: Red Letter Days can accept no responsibility for any likely hunger pangs! “We felt like princesses as we sipped our bellinis and enjoyed the silver service on board, every single detail was handled with perfection. Silver tongs for the crumpets, a spot of caviar on our scrambled eggs and freshly made pastries and bread”. Next time we head in a completely different direction, when our bucket (list) is filled with ice, as an avid climber heads to Fort William.